Here is a shot of Common Grape Fern growing along Balsam Mountain Road. It isn't the best shot for distinguishing the difference between the leaves of Common and Southern Grape Fern, but if you look closely.. you can see the leaves are more divided. 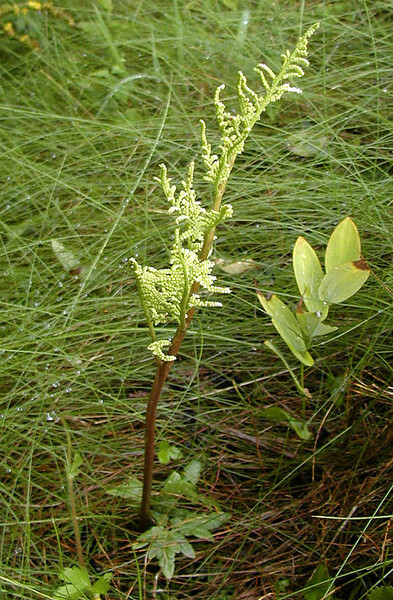 This photo shows the fertile spike that both have which bear the spores for reproduction.